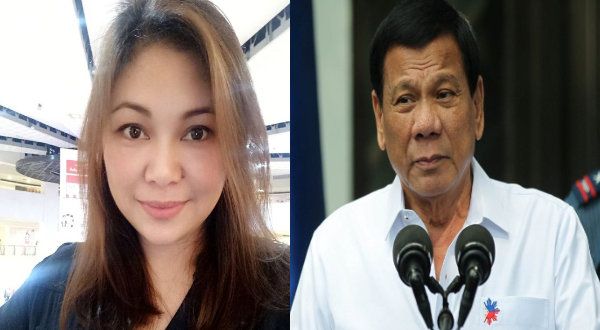 MJ Quiambao Reyes, a known President Rodrigo Duterte blogger, said on her Facebook page the despite his "flaws which are mostly forgivable and negotiable", she still supports the President because of his good qualities. Reyes, an online promoter of Duterte since his presidential campaign, made the post after the President's ratings soared according to the survey of Social Weather Stations from June 27-30. This despite criticisms against his administration’s tax reform law and his crackdown on tambays or street idlers. The Pulse Asia survey was taken days before Duterte’s much-criticized “God is stupid” remark. “The Palace expresses its gratitude for our people’s continuing vote of confidence for President Duterte who remains the most approved and most trusted top national official today with 88 percent approval and 87 percent trust, respectively,” presidential spokesman Harry Roque Jr. said yesterday. "Why do I continue to support Pres. Duterte? 》 a leader who is unbought, unbound, uncompromised, unconventional, and unafraid"